The Innovative Plastics strategic business unit of SABIC today announced here at Chinaplas 2011, booth 10.2E21, that it is adding new production lines of the company’s world-renowned Lexan™ polycarbonate (PC) resins and films in Shanghai and Nansha, China. These additions are part of the company’s strategy to support the dynamic growth of key plastics sectors in this region, particularly the consumer electronics, electrical, solar, security and automotive industries. Building on over 80 years of advanced technology breakthroughs, Innovative Plastics continues to be a leader in the plastics industry with its flagship PC material. It is continually developing distinctive new Lexan material solutions to meet evolving technological, environmental, performance and regulatory challenges. Innovative Plastics is adding dedicated compounding production lines of its iconic Lexan PC resin at its Shanghai facility in early 2012. This capacity increase will ensure ample, reliable supplies of Lexan resins and Lexan specialty copolymers to help drive Asian customer growth. This addition comes on the heels of a similar Lexan compounding expansion in Nansha in late 2010. The company’s Lexan resin is known for its broad, global portfolio and is produced to meet increasing capacity demand for key industries including consumer electronics, electrical, solar and automotive. Lexan specialty copolymers provide extreme high heat resistance; excellent flow/ductility; virtually unbreakable impact strength; scratch protection; flame-smoke-toxicity performance; and ultra violet (UV) protection to higher levels. These high performance properties give customers exceptional design freedom to meet increasing consumer demand for top-performing products with eye-catching aesthetics. Innovative Plastics is also adding a new, state-of-the-art extrusion line of Lexan PC optical quality (OQ) and textured film products to its Nansha facility, with subsequent capacity additions in Asia planned for 2012-2014. 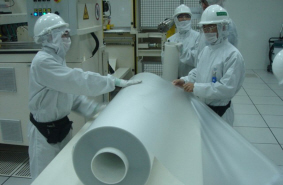 This new specialty film line, which opened in the first quarter of 2011, uses class 1,000 clean room technology to produce Lexan OQ optical performance film. The new production line makes custom textured materials and surface polished Lexan OQ films that can be embossed or selectively textured by screen printing for aesthetic purposes and a mar-resistant finish. This expansion addresses accelerating market demand for specialty film materials for high-end film applications in consumer electronics, automotive and security segments where these materials are widely used in applications such as automotive navigational display units; notebook PCs; monitors; and liquid crystal display/light emitting diode (LCD/LED) TVs. 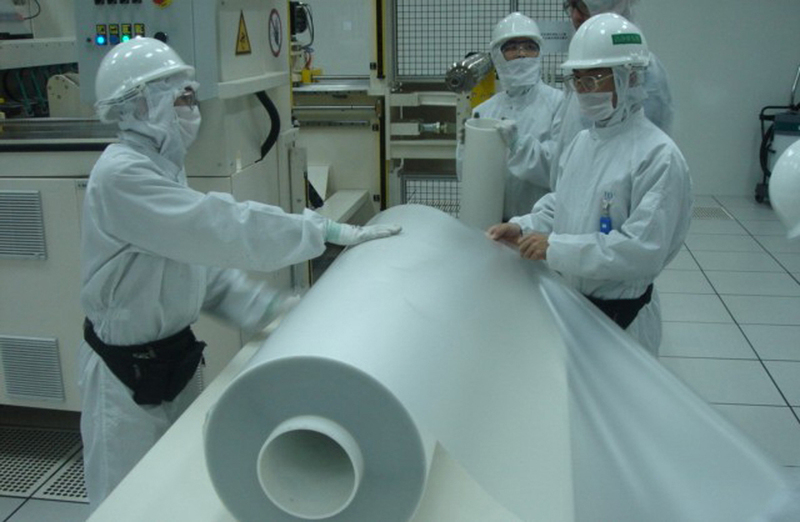 This Innovative Plastics investment of specialty film lines in Asia underscores the company’s commitment to the consumer electronics OEMs and converters by providing high-functional film products that can significantly reduce total system costs. Since its invention in 1953 by Dr. Daniel Fox, Lexan PC resins have made history in diverse industries. The versatility, clarity and high performance of this unique material have led to thousands of applications for work and play. Today, the Lexan portfolio encompasses a tremendous range of resins, compounds, sheet products and films, many with specialized attributes such as non-halogenated flame retardance, low-temperature ductility, optical properties and special colors and effects. For additional information on Innovative Plastics’ Lexan products, please go to www.sabic-ip.com. For technical product inquiries, please contact us at www.sabic-ip.com/prtechinquiry. Download the image above in high resolution or low resolution. Saudi Basic Industries Corporation (SABIC) ranks among the world’s top petrochemical companies, and is a global market leader in the production of polyethylene, polypropylene, advanced thermoplastics, glycols, methanol and fertilizers. SABIC manufactures with a global footprint in Saudi Arabia, the Americas, Europe and Asia Pacific. The company operates in more than 40 countries across the world with 33,000 employees worldwide. It has significant research resources with 18 dedicated Technology & Innovation facilities in Saudi Arabia, the USA, the Netherlands, Spain, India and China. SABIC recorded a net income of SR 21.59 billion (US$ 5.73 billion) in 2010, and sales revenues totaled SR 152 billion (US$ 40.5 billion). The Innovative Plastics strategic business unit of SABIC is a leading, global supplier of engineering thermoplastics with an 80-year history of breakthrough solutions that solve its customers’ most pressing challenges. Today, Innovative Plastics is a multi-billion-dollar company with operations in more than 35 countries and approximately 9,000 employees worldwide. The company continues to lead the plastics industry with customer collaboration and continued investments in new polymer technologies, global application development, process technologies, and environmentally responsible solutions that serve diverse markets such as automotive, electronics, building & construction, transportation, and healthcare. The company’s extensive product portfolio includes thermoplastic resins, coatings, specialty compounds, film, and sheet. Innovative Plastics (www.sabic-ip.com) is a wholly owned subsidiary of Saudi Basic Industries Corporation (SABIC). ™ Trademarks of SABIC Innovative Plastics IP B.V.